Vivacious Video Gaming Books from Third Edition! When publishers Third Edition reached out to us and asked if we’d like to check out their range of video gaming books – there’s no way we could refuse. As big gamers ourselves we’ve eagerly followed their progress of their Kickstarter campaign started back in 2016. It was evident from the start that Third Edition were huge gaming fans and clearly knew their subject inside and out. With over 40 books already to their name they’d tested the waters online to see if the US market might be interested in an English translated version of their work. These were, unlike most gamer guides, clearly printed with love and attention in high quality material which looked absolutely incredible and a must for any video game fan. Following the previews of three translated books online ‘Zelda. Archive of a legendary saga ‘, Dark Souls. Beyond Death and ‘The Legend of Final Fantasy VII ‘ the response to the team’s Kickstarter campaign was overwhelming with a wealth of support online. So it was no surprise when the campaign was quickly funded by a host of fans. We were honoured when the team kindly sent over three above books for us to check out in hardcopy – and what an incredible opportunity to finally handle these superb publications up close. What truly hits you straight away is the amount of care and attention that have gone into the aesthetics of these books. These aren’t standard ‘throwaway’ paperback gaming guides. These are truly works of art which no doubt will be treasured by gamers for years. First out of the box we had a chance to check out ‘ Zelda – The History of a Legendary Saga’ written by Nicolas Courcier and Mehdi El Kanafi. 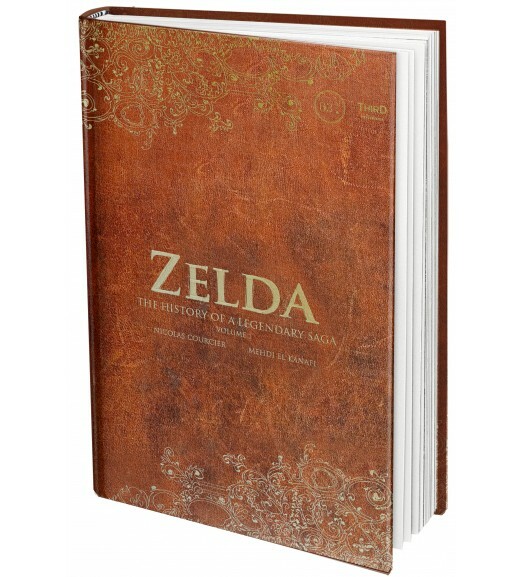 This epic book commemorates the 30th anniversary of the Legend of Zelda chronicling every game of the series. This encapsulates all the games from the very first appearance right through to the latest Nintendo handheld release of Zelda. What’s great is how the book really breaks down the epic journey of these games but at the same time is presented as an ancient book! So you really feel like you’re uncovering lost secrets from the game franchise whilst finding out a huge amount of facts you never knew about these legendary games. At 224 pages this will certainly keep you entertained for days! 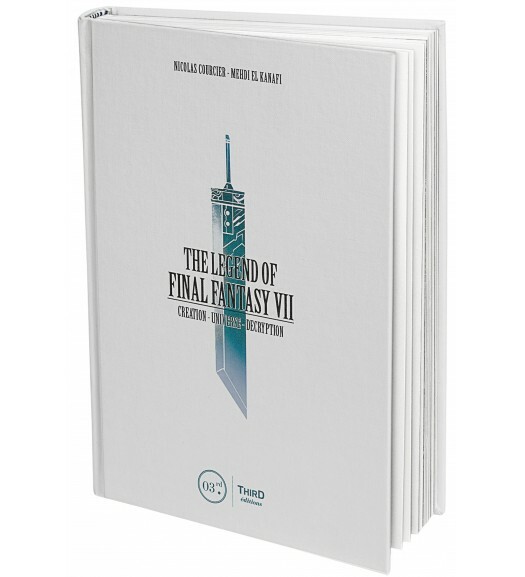 Next out we read ‘The Legend of Final Fantasy VII’ written by Nicolas Courcier and Mehdi El Kanafi. As any true gamer worth their salt knows, Final Fantasy has to be one of the most well loved gaming franchises of the last few decades. This book celebrates the game’s 15th anniversary from it’s humble beginnings to the grand adventures which people have come to love and adore worldwide. With so many games in the series it’s fantastic to have a compendium illustrating all of these releases together and one which allows you to really investigate the universe of FF looking back at the hidden aspects perhaps initially missed. 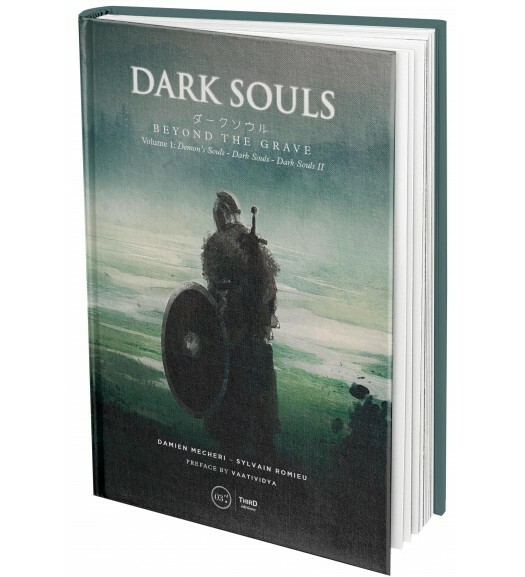 Lastly we had a chance to check out the fantastic ‘Dark Souls – Beyond the Grave’ written by Nicolas Courcier and Sylvain Romieu. The darkly gothic world of DS has become one which players have grown to love. Being voted ‘Game of the year’ in 2014. It’s a fascinating world populated with mythological creatures and a rich lore. The game itself is often referenced for it’s high difficult levels so it’s wonderful to have such a well researched and deep game book which covers the gaming mechanics, plots, characters and an overview of the main antagonists. This is no small feat and the work which has gone into undoubtedly one of the hardest games out there is admirable. As a taster of Third Editions work we’re blown away by the sheer quality aesthetically and content-wise of their gaming books. They’re absolutely stunning and a must for any serious gamer out there.